Home > Blog > A lovely walk with a new pack member – Marshall! A lovely walk with a new pack member – Marshall! Sun is shining still – hurrah! A lovely walk over Dumbrock Moor with all the dogs enjoying a long swim and cool down at the loch. New boy Marshall absolutely LOVED his walk – he ran about constantly for the whole time – he will be exhausted tonight!! 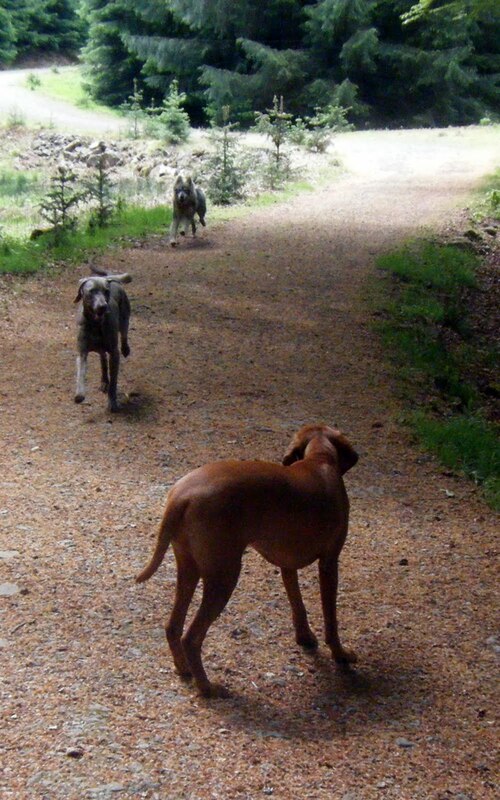 Missing Boris….and Laddie & Meg….definitely feels odd to walk without them, but they’ll all be back soon enough! Hope the sun keeps shining!